سواءً كنت مسافراً بغرض السياحة أو العمل, The Fairways Apartments هو خيار عظيم للإقامة خلال زيارتك كايكورا. يقع مركز المدينة المثير على بعد 3.5 km فقط. يضفي محيط الفندق اللطيف وقربه من كايكورا ديسترك, ‪Cushchine Animal FarmYard Park‬, دايف كايكورا سحراً خاصاً على هذا الفندق. يقدم The Fairways Apartments خدمات لا غبار عليها وكل أشكال اللياقة وحسن الضيافة اللازمة لإسعاد ضيوفه. يمكن للنزلاء الاستمتاع بالميزات التالية: واي فاي مجاني في جميع الغرف, مرافق مخصصة لذوي الاحتياجات الخاصة, تسجيل وصول/خروج سريع, تخزين الأمتعة, واي فاي في المناطق العامة أثناء إقامتهم في هذا المكان الرائع. استمتع بوسائل الراحة الراقية في الغرف أثناء إقامتك هنا. بعض الغرف تتضمن تلفزيون بشاشة مسطحة, اتصال لاسلكي بالإنترنت, اتصال لاسلكي بشبكة الإنترنت (مجاني), حوض الاسترخاء, غرف لغير المدخنين لمساعدتك على استعادة طاقتك بعد يوم طويل. سواء كنت من محبي الرياضة أو كنت تتطلع لتفريغ عناء نهار صعب، ستجد خدمات ذات مستوى عالي بانتظارك كمثل شاطئ خاص, ملعب جولف (ضمن العقار), حديقة. إن The Fairways Apartments هو مكان مثالي للمسافرين الذين يتطلعون إلى الراحة والاستجمام في كايكورا. Stayed there one night and I wish it was longer. Very quiet location and comfortable room and bed. Modern bathroom in the studio as well. Thanks so much, no omplaints at all. Lovely modern apartment. Good shower and bathroom. 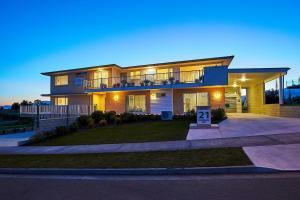 Overall excellent stop off point but 3km from town and amenities. 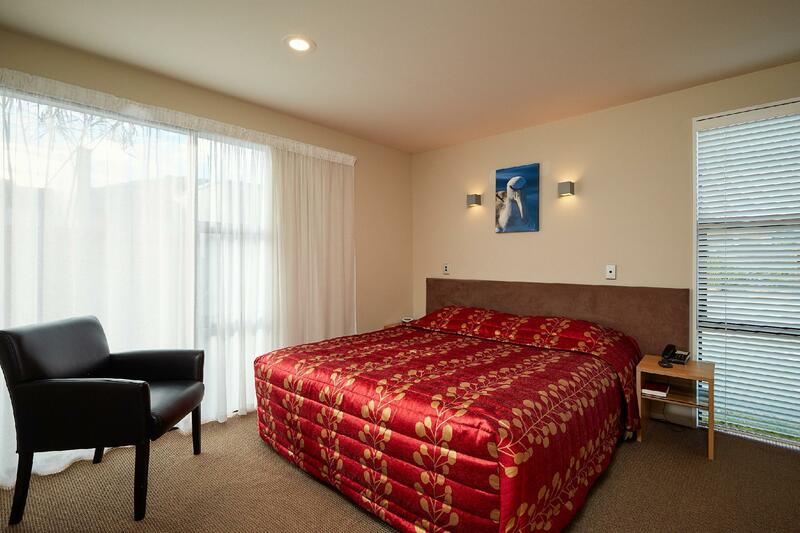 Very comfortable studio unit, beautifully clean and well presented. Bed and pillows were very comfortable. Bathroom well done with little extras that were welcomed. Nice and quiet with really lovely lake with ducks etc. attractive gardens surrounding the lake there. Would highly recommend and would stay again with you. Many thanks for our enjoyable stay. The rain and cool temp. were very welcome! In many regards this motel is very good indeed however I could not recommend a motel which has cooking utensils, plates, glasses, cups and cutlery and supplies dish washing liquid and tea towels but has only a bathroom basin in which they could be washed. Who wants to use kitchen things that have been washed in the same basin as that used by a previous guest to wash their hair, feet or even underwear? This is a serious design fault! A nice location. Great facilities in the room, more the adequate for a night stop over. Lovely environment, well equipped, warm and comfortable room (we visited in spring). Enjoyed the quiet location. Great for a restful break away. Room a bit of a squeeze and dividing walls not soundproof. Otherwise decent accommodation. Great location, quiet area and modern facilities. Would stay there again! The apartments are modern and beautiful. Everything you need is there. The fireplace is a nice touch. Surroundings are great for walks. Definitely go down to the beach near the main pier to see all the seals! The apartment was comfortable and clean. A lot bigger than the studio. Lovely apartments with very friendly manager and staff.. The apartments are beautiful with great facilities...washer and dryer with washing liquid, jacuzzi bath, barbecue with a bucket of implements etc...You do need transport though as it is a little way out of town. Very honest...they called us to let us know we had left a book and things behind. The only quirk is that the recycling pail in the apartment doesn’t match the way they divide the recycling outside.....😳 Be prepared to do a good clean up before leaving but no unreasonable expectations, We loved it and would hope to stay again. Nice lake view, cozy apartment to stay. Clean and well equipped... love it so! nice and clean place, will go back and will definitelty book apartment as i love to cook my lobster! I love to stay at Fairways Apartment because it is located very central. 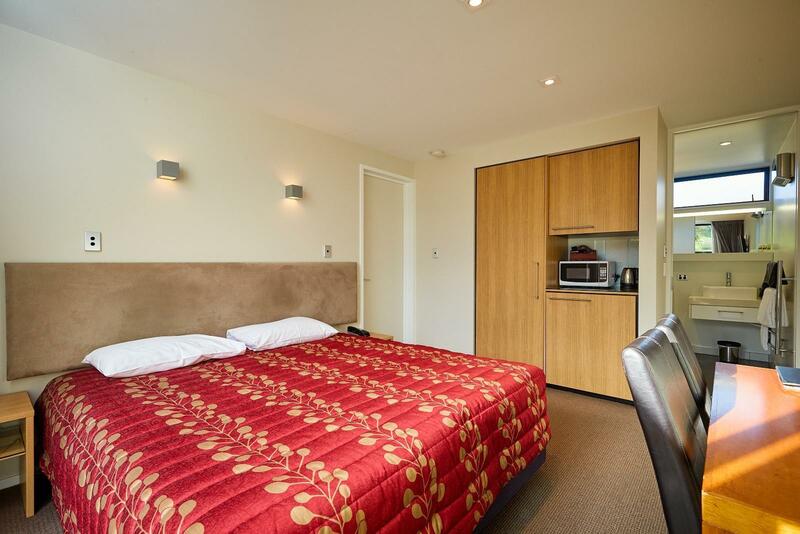 Only 5 minutes to Kaikoura City Centre, and also around 10 minutes to Whale Watching area. The apartment is big. The only thing need to be concerned is the cleanliness of carpet. Not too dirty but need to be vacuum more often. Nice and friendly staff, very helpful especially for giving me directions for Kaikoura surrounding area. 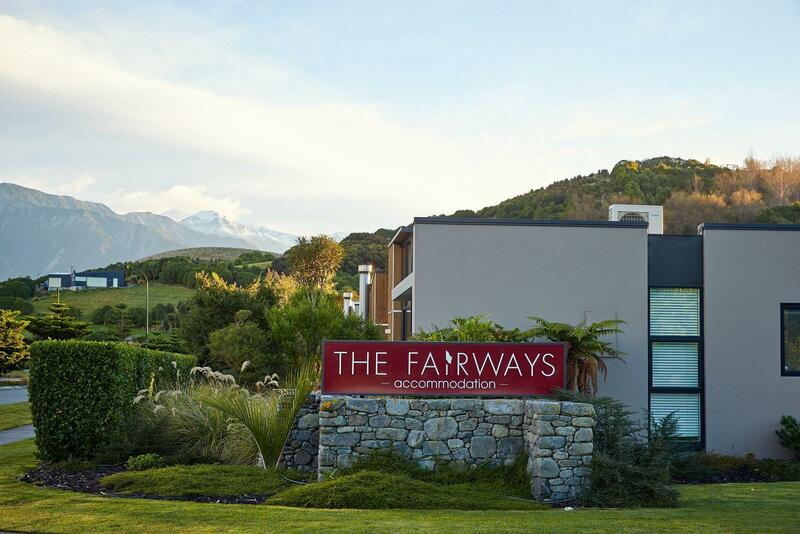 Great place to stay when you are in Kaikoura. Location is 7 minutes drive from the town. As long as u have a car, it should not be a problem. The apartment was above expectation, clean and cosy. The hosts were nice and friendly too. Highly recommended.